Venice, you’re gorgeous exactly as you are. 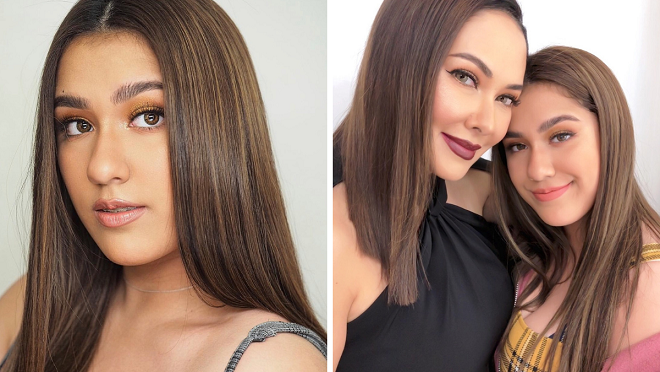 Ruffa Gutierrez rolled out the red carpet Instagram-style for her 14-year old daughter Venice Bektas. Here’s Ruffa’s proud mom moment put into words: "Make way for my youngest, @venicebektas .... 2019 she’s ready for you!! Makeup & photo @mikkamarcaida Hair @nancysoriano24 Smile by @gaoc @drstevemarkgan BTS for @theconceptroomstudio #GutzNextGen"
One of the fans told Ruffa to push Venice to be a “bit slim pa” to make her more gorgeous. 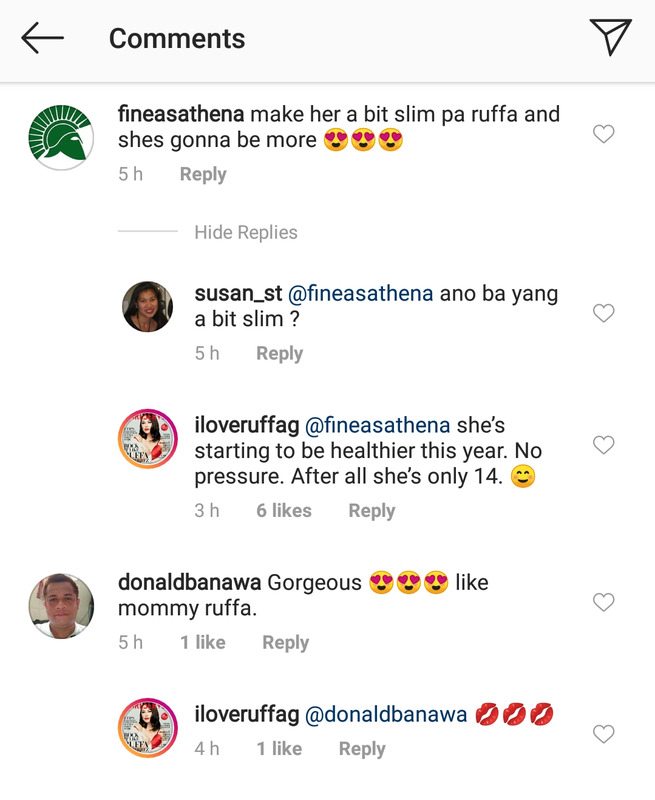 Ruffa's response to the post made it clear to everyone how she respects Venice taking things in stride in that aspect. Praises for Venice, particularly mentions of her beauty-queen caliber features, are the most resounding of all the comments. 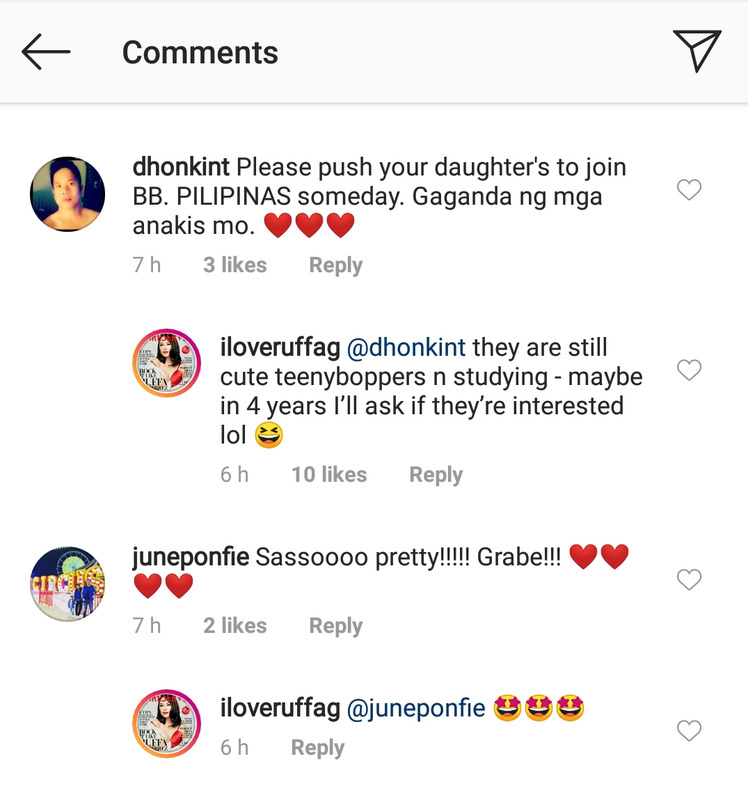 Ruffa replied to fans’ excitement about Venice following in her footsteps. Ruffa was 19 years old when she was crowned Second Princess at the Miss World 1993 contest.